The number of uninsured individuals is estimated to increase in every state and to 72 million nationwide—with children and low- and middle-income Americans particularly hard hit—under Governor Mitt Romney’s plan to repeal the Affordable Care Act and replace it with block grants to states for Medicaid and new tax incentives, according to a new Commonwealth Fund report. While the details of Governor Romney’s proposals have not been specified, a set of assumptions was made for the report based on similar proposals advanced in the past. The report finds that 17.9 million children under age 19 are estimated to be uninsured by 2022 under Romney’s plan, compared with an estimated 6 million under President Barack Obama’s plan to implement the Affordable Care Act. In addition, under Romney’s plan, 17.7 million middle-income Americans—those with incomes between about $32,000 and $58,000 a year for a family of four—are estimated to be uninsured by 2022, or more than one-third of this income group. By comparison, 3.3 million middle-income families are estimated to be uninsured under the Affordable Care Act. Among families with incomes under $32,000 a year for a family of four, 38.7 million people are estimated to be uninsured under Romney’s plan and 17.2 million under the Affordable Care Act. The report, Health Care in the 2012 Presidential Election: How the Obama and Romney Plans Stack Up, analyzes each candidate’s plan to address the U.S. health care system’s problems and estimates the resulting number of uninsured by age and income level in every state. The comparison relies on results of microsimulation analysis of the candidates’ plans conducted by economist Jonathan Gruber, who modeled the effects of the Affordable Care Act, as opposed to repeal of the law and replacement with two Romney proposals: providing states with Medicaid block grants and new tax incentives to purchase individual coverage. President Obama has identified near-universal health coverage as a goal, and his plan to continue to implement the Affordable Care Act will reduce the number of uninsured nationwide, according to the analysis by Commonwealth Fund researchers Sara Collins, Stuart Guterman, Rachel Nuzum, Mark Zezza, Tracy Garber, and Jennie Smith. 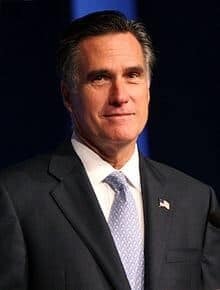 Romney has said he would repeal the Affordable Care Act; change Medicaid to a block grant program; use tax incentives to encourage people to buy individual health plans; and introduce more private plans to Medicare while providing beneficiaries with a specified sum of money, adjusted for health and income, to buy the plan they choose. How is this science related?